Home » WOD Blog » Day 1. Send your friend, wife or girlfriend over to check out the Women’s only classes! The first class is FREE and available to any fitness or experience level! Notes: Scale down as needed and focus on perfect form! If you do not yet have a strict pullup, perform 3 rounds of 7 “negative” reps by jumping to the top, hold for 2 seconds and then take 3 seconds to lower. Jump to the top to start each rep, be sure to maintain control the entire way and use bands as needed. If you did not perform your Pullup/Pushup tests for the Challenge do that for your first round! Notes: Advanced athletes, use 75% of your 1RM. Newer athletes, try to add weight each round. Everyone work for good depth and form! Monday was Day 1. The Open ended on Sunday and through incredible effort and support, our gym is heading to Regionals with very real intentions of competing for the next level. But, this success is only a fraction of the accomplishment and realizations that our gym experienced over the last five weeks. So Monday was Day 1 for everyone. For the Regional team it was the first day of a month of focused hard training leading up to Del Mar. For everyone at Paradiso, it was Day 1 of the rest of the year of training. 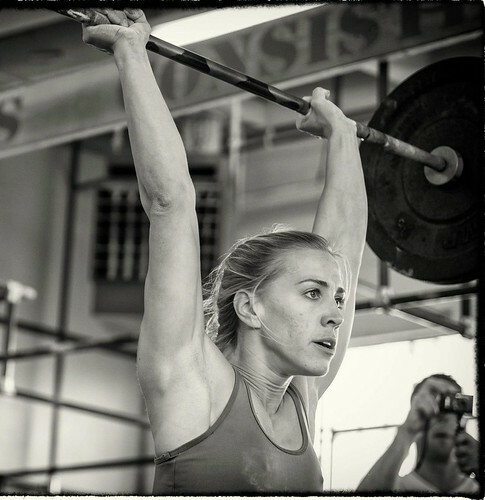 The Open is a great enlightener as to where an athlete is in their progress, at least from the standpoint of a “CrossFitter”. While it is by no means the end all of fitness, the Open does make an athlete aware of their strengths and weaknesses, what they are capable of and what they need to work on. The Open should make an athlete see the bigger picture in their training and realize the steps they need to take to get better. I urge everyone to think about where they want to be next year, set goals, and then go about systematically taking steps toward achieving those goals.